Organizations are supporting far too many passwords, which leads to weakened security, inconvenienced end-users, and increased cost of management and support. The ideal of one logon that provides secure, convenient access to multiple resources has long been the “holy grail” of access management. 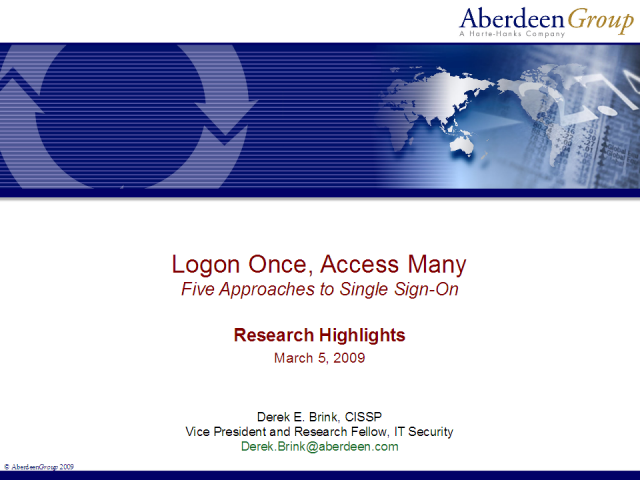 This presentation will highlight findings from recent benchmark research on five approaches currently being used to help companies work towards the ideal of a single sign-on, including directory synchronization, password synchronization, enterprise single sign-on, web access management, and identity federation.